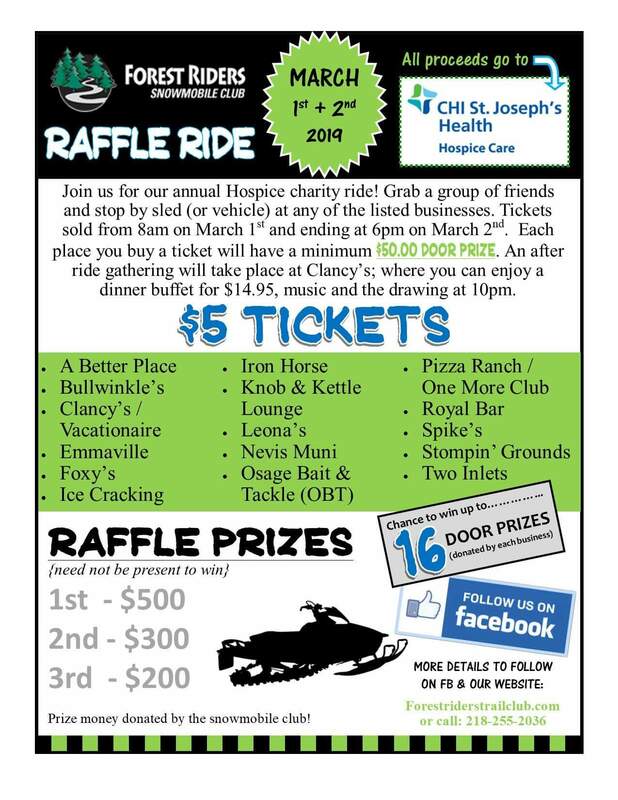 Our annual CHI St. Joseph's Hospice Ride is changing things up this year with a local raffle ride (all proceeds to benefit Hospice). 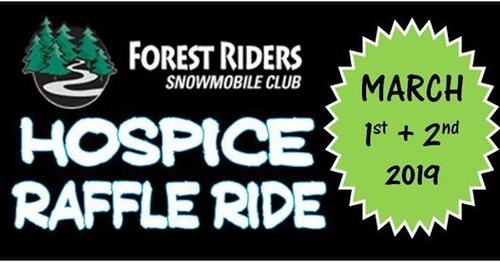 March 1st & 2nd, ride (or drive) to the following businesses and purchase a $5 raffle ticket. When you buy from them, you will be entered in their individual drawing for a door prize with a minimum $50 value. The more stops you make, the more chances you'll have to be entered in multiple door prizes! The raffle tickets will stop being sold at 6:00pm on Saturday, March 2nd. The following businesses are participating: Click here for list. An after ride gathering will take place at Clancy's. They will be having a buffet on Saturday, from 5-8pm including: Chicken, Ham, Potato, Vegetable & Salad Bar for $14.95. There will also be other door prizes, music and the final raffle drawing held @ 10pm (do not need to be present to win). Multiple locations, after ride gathering at Clancy's. Buffet Sat from 5-8 PM. Final raffle drawing at 10 PM, need not be present to win.